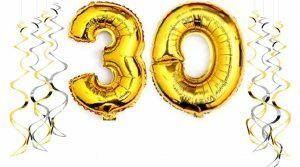 We feel incredibly blessed that Children in Distress is celebrating its 30th anniversary. Without you it is just a number. This year, our supporter’s tour is from the 30th September to the 6th of October. We are also holding a Thanksgiving service at the Anglican Church in Bucharest, followed by a celebratory Gala Dinner. Inside this magazine you will find a detailed programme of the tour & the Thanksgiving service for 2019. We hope you can join us. Without you it is not a real celebration!